What is real Kanaka Pushya Raga/ Kanakapushyaragam Gemstone? A Lot of Astrologers in South of India and West of India when recommending a Yellow Sapphire ask a client to go in for a Kanaka Pushya Raga stone or alternatively also called as the Kanakapushyaragam or Kanakapushparagam Gemstone. This Composite term is actually used to denote colour and is made up of two words: Kanaka meaning Gold and Pushpa: Meaning flower. A Yellow Sapphire of a fine intense Golden Yellow Colour or of a highly saturated and vivid Golden Canary Yellow Colour is the famed Kanaka Pushya Raga Gemstone. Most of the clients are not aware of the purity and the important features of Jyotish Gemstones and their sole agency of information or sourcing the gemstone then gets limited to the Astrologer who has consulted them or the trader dealing in these Goods. This lack of research and options is one of the biggest causes of failure or poor results from Gemstones and Gem therapy. In short a Jyotish Gemstones is a fully natural, unheated or untreated Gemstone with the finest colour, lustre and a draw that instantly holds your attention. For it to be a conduit of the highest auspicious planetary powers it has to be Sujati (High Born) as per the Shastras. 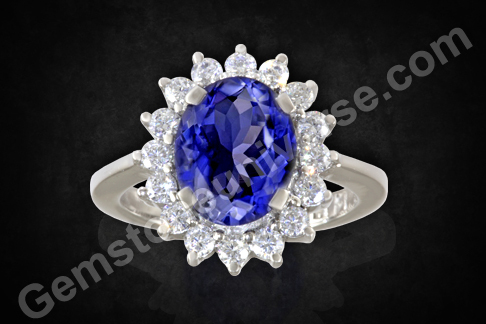 For more details on Jyotish Gemstones please click here. Keeping our discussion focussed on the Kanaka Pushya Raga, it is a natural and unheated Yellow Sapphire of the most sought after Golden Yellow or Golden Canary Yellow Colour. What is sold in the market as Kanaka Pushya Raga in the market is petrol coloured thermally treated and diffused sapphires from Thailand that are cheap, poor quality, treated and are at the bottom of the gem pyramid. See Video below for Thai diffused yellow sapphire sold in the market as Kanaka Pushya Raga. These should be out rightly rejected for the purpose Gem Therapy. These can be used for ornamental or jewellery purposes but have no value for Jyotish or Gem Therapy. Please note that the colour of the Kanaka Pushya Raga is at the apex of the Gemstone Pyramid and such Gemstones are extremely rare, valuable, and durable and come once in a while and command a premium price. It is this beautiful alluring and exotic colour combined with other features that are unique to Jyotish Gemstones make them deliver special results and harness the positive powers of Jupiter- The planetary energy represented by this gemstone. Featured today is what we call as a real “Kanaka Pushya Raga” that is glorified in the Shastras and the puranas. Exceptionally beautiful crystal with eye clean clarity-yes eye clean – please view video to get an idea of the exceptional clarity which is just one of the features of Jyotish Gemstones. The cut is an old mine step cut maximizing brilliance and lustre. The august fire emanating from this pure unheated yellow sapphire instantly holds your attention. Excellent carat weight touching 4 carats makes it a powerful tool for destiny re calibration and will deliver the promised results that only true Jyotish Gemstones are capable of. Notice the all inclusive price including the cost of 22K Gold ring and try to find a similar ring that is priced less than 4 times this one. This is possible due to the Gemstoneuniverse resources and the Gemstoneuniverse unmatched price guarantee. Pushparagam Stone has many surprising positive effects, it is one such gemstone which is believed to bring about mental peace, courage and physical harmony for the wearer. This Pushparagam Stone should be set in Gold and always be worn in the index finger to avoid negativity in life. Mull on this: If Kanakpushyaraga Raga was so easily available- wouldn’t everybody be lucky including the trader who sold it. ©, Gemstoneuniverse.com, All rights reserved. Cheapest is the most Expensive Gemstone-Surprised? Ushering in the New Year with a classic Emerald Diamond Ring! There are some Gemstone combinations that complement each other in style as well in energy and impact. The classic Emerald and Diamond combination in a ring is not just classy, elegant and dazzling in the world of precious jewellery it is considered to be a potent and auspicious combination in Vedic Astrology. As per the laws of Indian Astrology also referred to as Vedic Astrology, The Emerald is the Gemstone of Mercury. Mercury represents the energies of Emerald and is the planet of business, finance and communication. Venus the dazzling planet represents the energies of Diamond and is the planet of luxury, beauty and wealth. There belong to the group of friendly planets. Who can wear Emerald and Diamond together as per Astrology? The emerald diamond ring featured today is a classic example of smart gem therapy and the unique implementation of Gem Therapy. The patron has given priority to selection of Emerald which was his primary most important gemstone; The Zambian Emerald has a rich deep ring royal shade with high saturation. This Emerald weighing 2.43 carats is blessed with exceptional clarity. Notice the Ring in the Video. You shall see the Green reflection of light through the ring shank just because of the exceptional clarity. The emerald has been bezel set in a halo of 22K Gold. The powers of Venus have been harnessed by using 4 diamonds of 5 cents each to make up the weight of 20 cents. This reduces the cost of diamonds by 1/4th while delivering the same planetary results. The ring has been set in silver and given Rhodium Polish to give it a platinum look. The end result an exquisite classically elegant ring that is full of style and substance with exceptional Jyotish Qualities that shall deliver the promised results of Planetary Gem Therapy. The Peridot is a Semi Precious Gemstone/ Upratna for Emerald. It is used instead of Emerald to harness the power of Mercury in a horoscope as per Vedic Astrology. In Which Finger to wear Peridot? Peridot gives the best results in the little finger also referred to as the pinkie finger by some individuals. 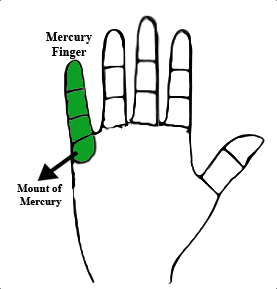 The mount of mercury is just below the little finger. The little finger is also called as Kanishtika in Sanskrit. 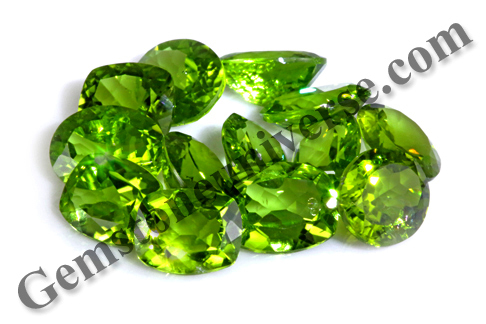 Gemstoneuniverse presents to you 4 splendid new lots of natural peridot – Alke, Dione, Eos and Spes. The best part is we present you Peridots from China, Burma and Pakistan the 3 best origins of Peridots, so that there is something for everybody. View the videos to enjoy the beauty of true Jyotish Gemstones. Peridot is an upratna of natural emerald and is a substitute gem for Mercury or Budha. – Are Natural earth Mined and Radiation free Gemstones. – Has the coveted color close to that of green olives. Color Shades range from deep rich olivine green to deep rich apple green. – Is super lustrous. Just watch the video to see how light travels through its beautiful facets. 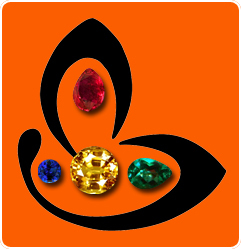 – While picking gems for use in planetary gem therapy, Gemstoneuniverse makes sure that these gems are top of the line, displaying enviable clarity and great lustre! There are no compromises made on quality and even great looking natural gems are rejected, if they carry internal flaws (doshas) that could interfere with your gem therapy. Your Gem therapy should be absolutely error free with no guess work- We ensure that. – Gemstone Certification and appraisal of these lots are complete and you can find them in the online Peridot inventory in the next 3 weeks or earlier. Featured today is an exceptionally beautiful and gorgeous Peridot ring. The two striking factors of this Gemstone is the pleasing high saturation of color and the scintillating movement of light through every facet of the crystal. These are just some of the factors that make Jyotish Gemstones deliver the promised results.In addition to the Gem that patron has opted for setting it in 22 K Gold ring and give a halo of American diamonds around the peridot to give it extra style, beauty and panache.The power of Uparatnas is immense and one should opt for Jyotish Quality Upratnas if on a budget rather than bluff stones that provide 0 resultsTo view this Gemstone before it was set please click here. 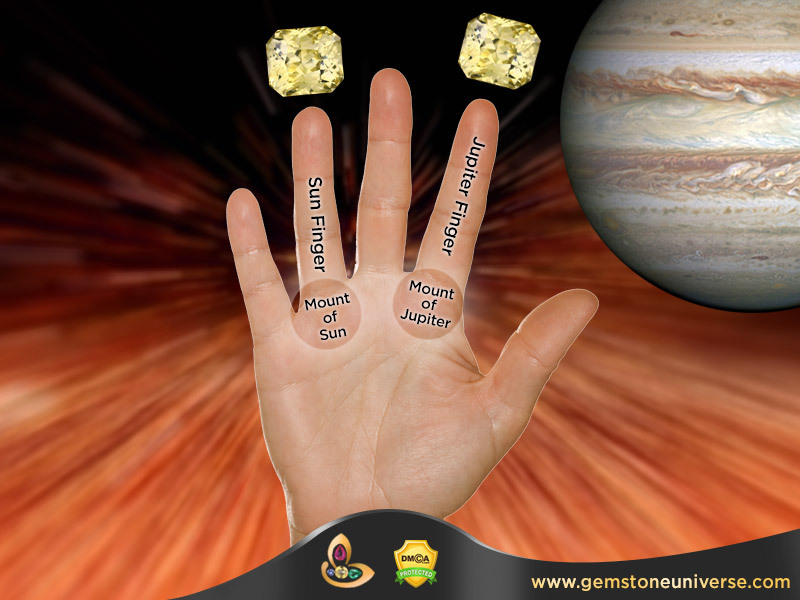 In which finger to wear Yellow Sapphire Pukhraj gemstone, Jupiter also known as Guru and Brihaspati is the Planet of Good Luck, Knowledge, Education and fortune. 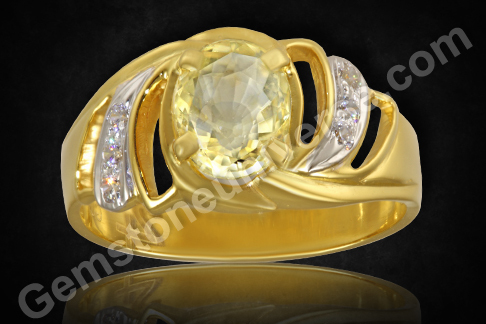 As per Vedic Astrologer it rules over the Gemstone known as Yellow Sapphire. 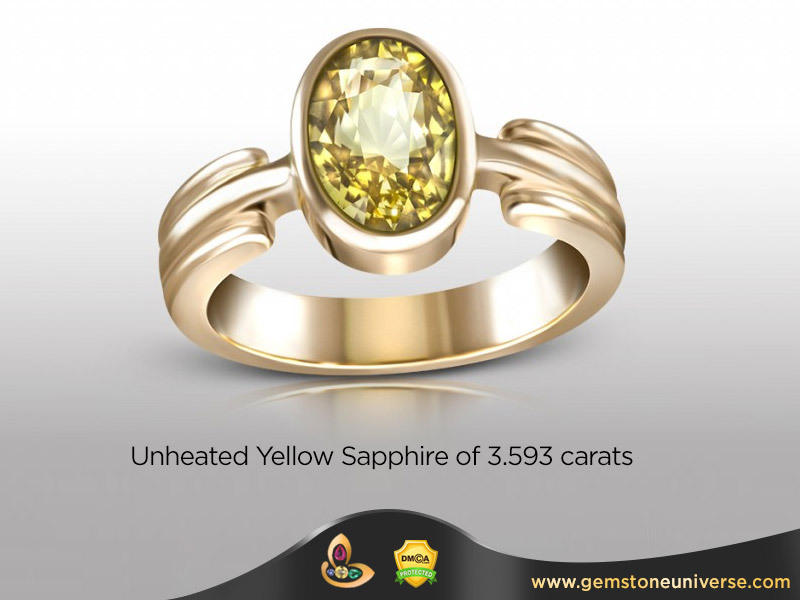 Yellow Sapphire Gemstone is also called as Pukhraj and Pushyaraga amongst many other names. The Best Position to wear a Yellow Sapphire stone is the index finger. The index finger also known as Tarjani in Sanskrit us ruled by Jupiter and the mount of Jupiter is just below the index finger. Featured today is a stunning Ceylon Yellow Sapphire with electric Lustre and Brilliance. Why is it a Jyotish Gemstone… Why are Jyotish Gemstones so special:- Is it Beautiful? Absolutely, that is the first parameter to be a Gemstone and not a stone as per Gem Pyramid. – Is it Natural? Absolutely it is totally earth mined, unheated and untreated Yellow Sapphire. – Does it have a good Color? It is the Top Canary Yellow Shade Spread equally throughout the crystal. – Does it have a good carat weight? Good Gemstones above the weight of 2 carats make it to the grade of investment quality Gemstones provided the parameters listed above are met. It is a rock solid 3 carat. Next Time you are wearing a Gemstone for Jyotish Purposes you should ask these questions while evaluating your cherished gemstone. To view this Yellow Sapphire Price, before it was set please click here. Natural Blue moonstone is a gemstone that is soft and feminine in its appeal just like the planetary energy it holds and represents – the Moon, which is the feminine principle in the energies of the zodiac. Blue Moonstone’s healing properties have been legendary in its ability to give emotional empowerment. 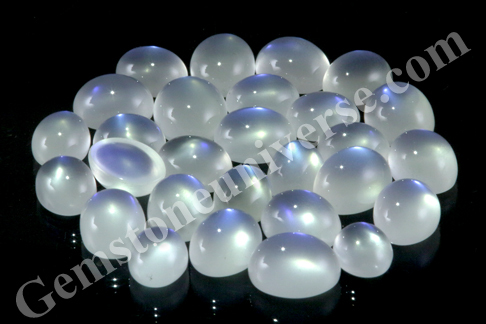 The metaphysical properties of Blue moonstone also made its use extremely popular among the women, where it aided in resolving fertility and monthly cycle issues and also helped in easing the pain during childbirth. 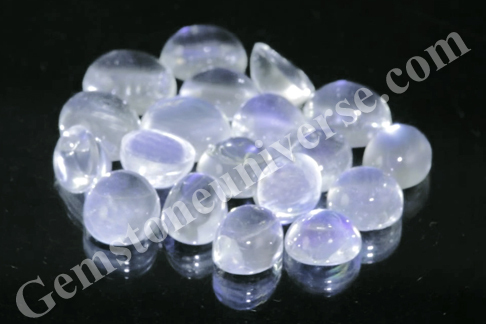 Blue moonstone is also regarded as a gemstone symbolic of love and also was believed to help in foreseeing the future. In Vedic Astrology, Blue moonstone or Chandrkantmani is regarded as the upratna or substitute gem for natural pearl and is regarded as a gemstone of Moon. Gemstoneuniverse brings to you two new parcels of Natural blue Moonstone and the prized Sri Lankan variety at that! So feast your eyes on the new parcels – LUNA 2013 and MONETA 2013. Imagine the landscape of reality – your world – a vast tract of land that is not bound by walls, boundaries or fences of any sort. And then, imagine your mind – an unbridled horse that roams free, free to explore, go with the wind, against the wind, into known places and unknown, can chart a set path or go around in circles, gallop at breakneck speed or meander aimlessly! Freedom is something that every individual craves for, yet freedom without the reference point of focus, direct and discipline is a lost resource, and further still can deteriorate into a crippling tool. Lord Saturn, the hard taskmaster, disciplinarian is hugely misunderstood for he just does this. He is a planet that forces individuals to confront their true reality – and not the construct of reality as individuals would “prefer” to have. It is like rounding up the wanton horses of the mind and containing them in a corral! Now imagine a scenario where you have the entire landscape of reality, assisted with a disciplined, focussed mind and a clear vision of the path you want to take – what can you not achieve. The trouble arises just with the concept of discipline, where the mind puts up resistance and tremendous resistance to a mere hint of curtailment of freedom! However discipline adds the element of fulfilment and productivity to the dimension of freedom. After all, isn’t that what all souls hanker for self-actualization, liberation and freedom through it! The Jyotish gemstone of Lord Shani or Saturn- Blue Sapphire is a very effective tool in achieving focus and getting a great hold over the waywardness of the mind. 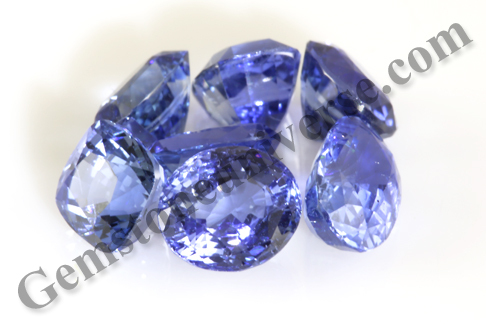 Gemstoneuniverse presents to you four new lots of scintillating, natural, treatment free Ceylon Blue Sapphires – DIA 2013, THOR 2013, VERITAS 2013 and Dev 2013. The natural blue sapphire or neelam gemstone is a tremendous gem for channelling the powers of Saturn, especially if Saturn happens to be a yogakaraka in the natal chart. 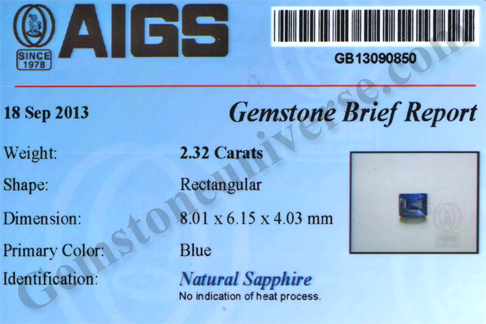 Cut from our own roughs enjoy pristine quality true Jyotish Blue Sapphires with the Gemstoneuniverse advantage. – Every Single Gem brimming with Sattvik/ Pure Beauty. One look and you now you have something special, something that has life ! Certification and appraisal of these lots are complete and you shall have them shortly in the Blue Sapphire Online inventory in next two weeks. The planet Mercury is a very intriguing one. 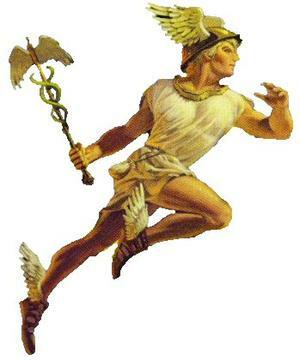 In Greek mythology mercury is known as Hermes or the winged divine messenger of the gods. In the pictorial depiction he wore a helmet with two wings. 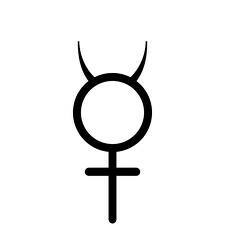 The symbol of Mercury is the basic symbol of the feminine element with a crescent on top appearing rather as two lines on the sides of the circle. Mercury is the planet of intellect, intuitiveness, speech and communication in all forms. While some believe that the two lines or sides of the crescent are symbolic of Mercury’s wings, there is also a line of thought which believes that it is a representation of the receptiveness. The open mindedness and highly mentalized Mercury energies enable the faculty of thinking in expanding an individual’s horizon. The circle is a classic representation of the solid element of the earth -thoughts and ideas upon conceptualisation are then given a concrete and material form. The cross of lines that follow below could be treated as the critical judgement which uproots or establishes ideas. 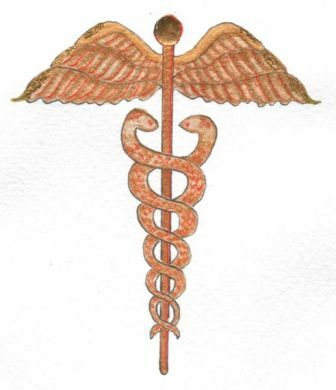 It is also regarded to be symbolic of the caduceus (staff entwined by two serpentine creatures) that Hermes holds. 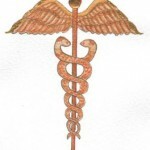 The two serpents actually denote the ida and pingala naadi and the central staff the sushumna. 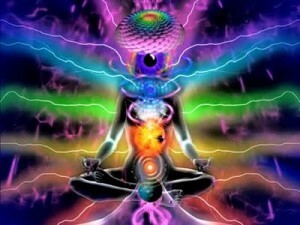 Intellect helps in unlocking the doors to spiritual evolution and the awakening of Kundalini! The entire symbol can be succinctly interpreted as mind over soul / divine spirit over gross matter or material existence. Featured today is a beautiful natural Colombian emerald of 2.50 carats set in 22 carat gold as a Mercury talisman emerald ring. 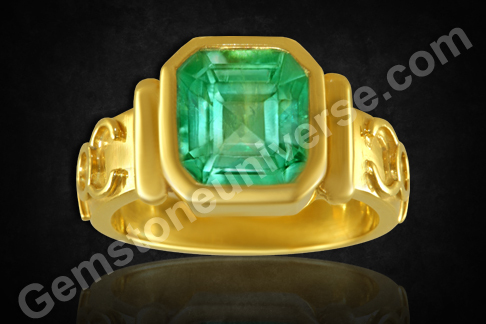 The octagonal emerald is a beautiful emerald green color and has fantastic clarity. 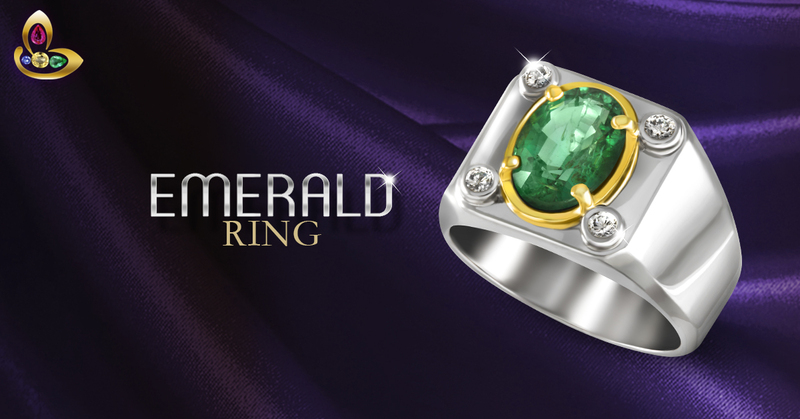 The richness of color and the enticing glow set this premium emerald apart! The symbol of Mercury stands in relief on the shanks of the ring.Natural emerald or panna/ zammrud is the gemstone of planet Mercury/ Budh. Individuals with a yogakaraka Budh in their natal chart should wear an emerald ring to gain benefits.View this Natural Colombian emerald before it was set. The peridot is a rich and luscious gemstone that has its own attraction. The rich olive green color gemstone has been favoured as much by the ancients as it is by the gem lovers today! 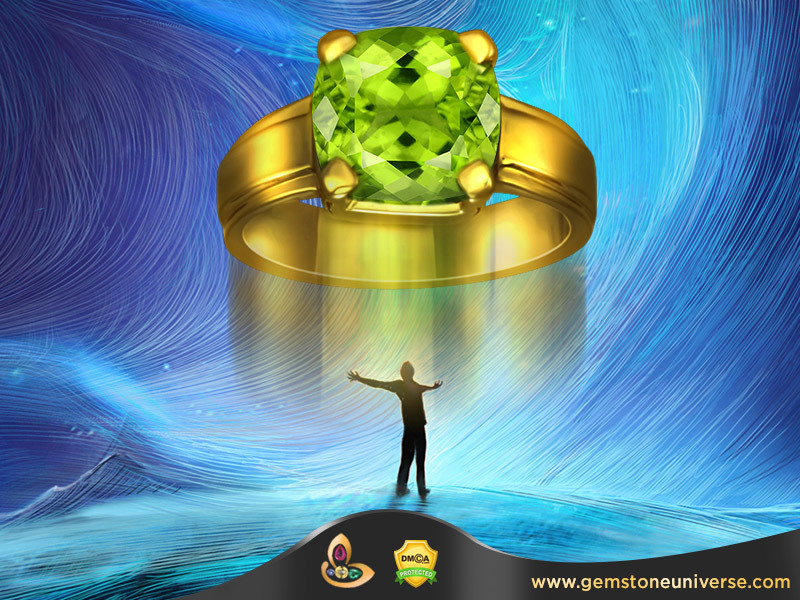 In Vedic astrology, natural peridot is the upratna for natural emerald and is the gemstone of planet Mercury. Featured today is a fine natural China peridot of 3.68 carats set in sterling silver as a Mercury talisman ring. 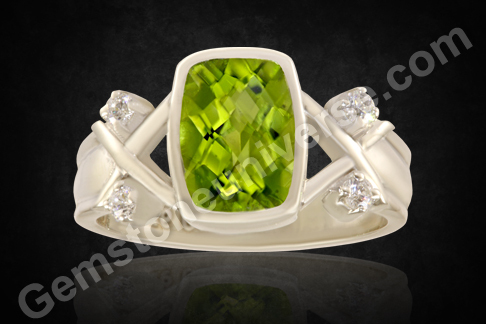 The cushion shaped checkerboard cut Peridot from China has a rich olivine color. And has the hypnotic touch to the crystal. 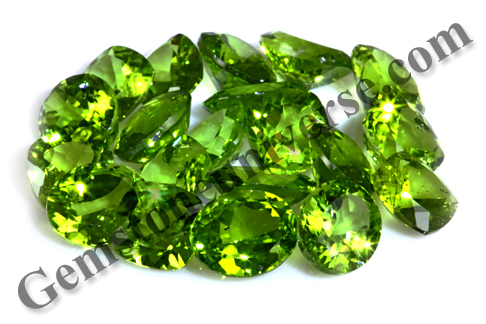 The natural Peridot gem is has vitreous lustre and has excellent clarity. The peridot is accented by four diamond stimulants. 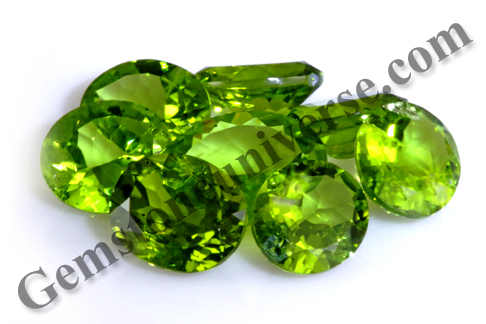 In Vedic astrology, peridot is regarded as the upratna or substitute gem for natural emerald. 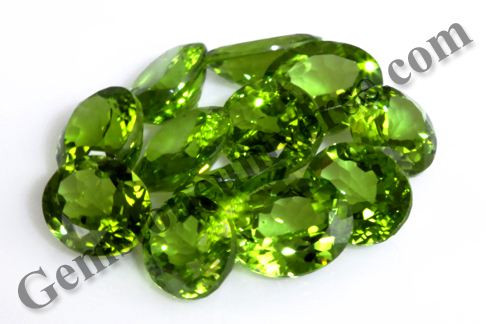 Peridot or zabarjad is a tremendously promising gemstone where emotional healing through use gem crystal is concerned. Featured today is a fine iolite of 2.53 carats set in sterling silver as a Saturn talisman ring. 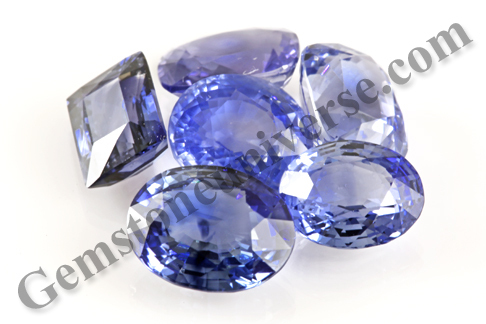 The oval shaped iolite from Madagascar has a deep Royal violet blue color. The design is the much adored Princess Diana blue sapphire ring design with the iolite being surrounded by diamond stimulants.In Vedic astrology, iolite is regarded as the upratna or substitute gem for natural blue sapphire. 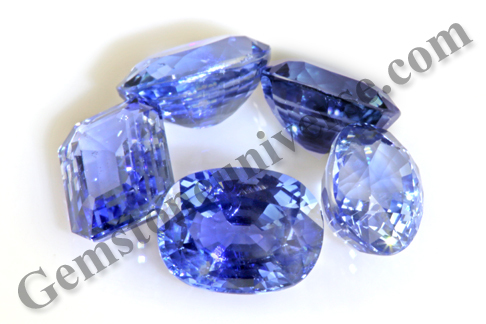 Iolite or Neeli is the gemstone of Lord Saturn or Shanidev and is used in a talisman as a gemstone remedy. To view this Gemstone before it was set please click here. When it comes to planetary gem therapy, there are a lot of heresies and myths floating around. While some may hold water, being influenced by misinformation is not right. There are several opinions about whether certain gems should be worn together or not. There are individuals with string opinions about contradictory gemstones. Let us take the case of a combination that is much maligned – people often come asking whether natural pearl and cats eye gemstone should be worn together as they invariably have heard ‘someone’ mention that these gems should not be worn together. – What if Ketu is in lagna, and Chandra happens to be lord of 1st, 5th or 9th house? – What if Ketu is in lagna and Chandra is in the neechamsa in horoscope? -What if Ketu is in an upchaya place, Ketu dasha is running and Chandra is a yogakaraka or debilitated in the birth chart? Neecha or debilitated Moon always requires urgent remedy through wearing a natural pearl. Ketu in the lagna should also be remedied by wearing a Chrysoberyl cat’s eye throughout life. While a yogakaraka Chandra or Moon can bestow many benefits, a well placed Ketu can bring fortune and sudden victories in its planetary periods. Why would an individual not harness the power of a strong planet or not remedy a challenging position? Would you still be dismissive or sceptical about the appropriate remedy? It definitely does require distinct knowledge of astrology and perceptiveness to determine the need of the individual in question. It becomes especially tricky and good judgement is required in cases where Ketu conjunct Moon or in other words Chandra yuti Ketu is present. This is a peculiar combination giving rise to deep pessimism in outlook, prevalence of unnamed fears, cowardice and possibly psychological aberrations. 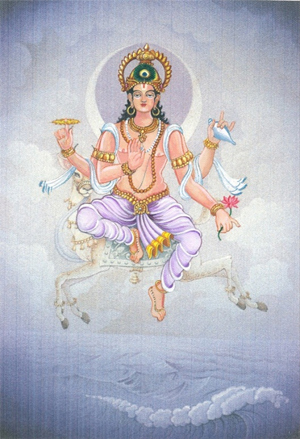 The individual with Ketu in conjunction with Moon may be cut off from the sense of reality and may have very impressionable minds that latch on to or get affected by any strong portrayal of an emotion, event, mishap, prejudice and dislodging this image / impression from this individuals mind may be next to impossible. Over sensitive and too emotional, it is largely difficult for this person to find balance. But just going by certain dictums is not at the core of a good gemstone recommendation. It is defining the requirements of the individual in question and suggest suitable gemstone or combination of gemstones accordingly. Featured today is a fantastic two gem pendant having a natural Ceylon Chrysoberyl cat’s eye and a natural Australian pearl set in silver. The natural Ceylon cat’s eye of 1.79 carats is a mesmerizing green gold with fine chatoyancy and translucence. Natural cats eye gemstone or lehsunia/ vaidurya is the gemstone of planet Ketu or South Node of the Moon.Natural pearl of 1.85 carats is of Australian origin with a button shape and white color with rose overtone. Natural pearl or moti is the gemstone of planet Moon or Chandra in Vedic astrology. 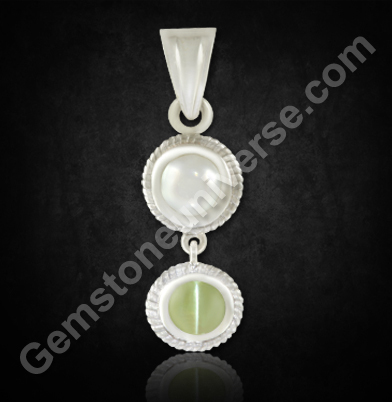 View this Natural Ceylon Chrysoberyl cats eye before it was set.